Perfect if you're looking for some extra small storage space in a living room this console table is the perfect purchase for you. Handmade Half Moon Console Table is perfect for storing some of your possessions while making use of the small table top with displaying a small lamp. 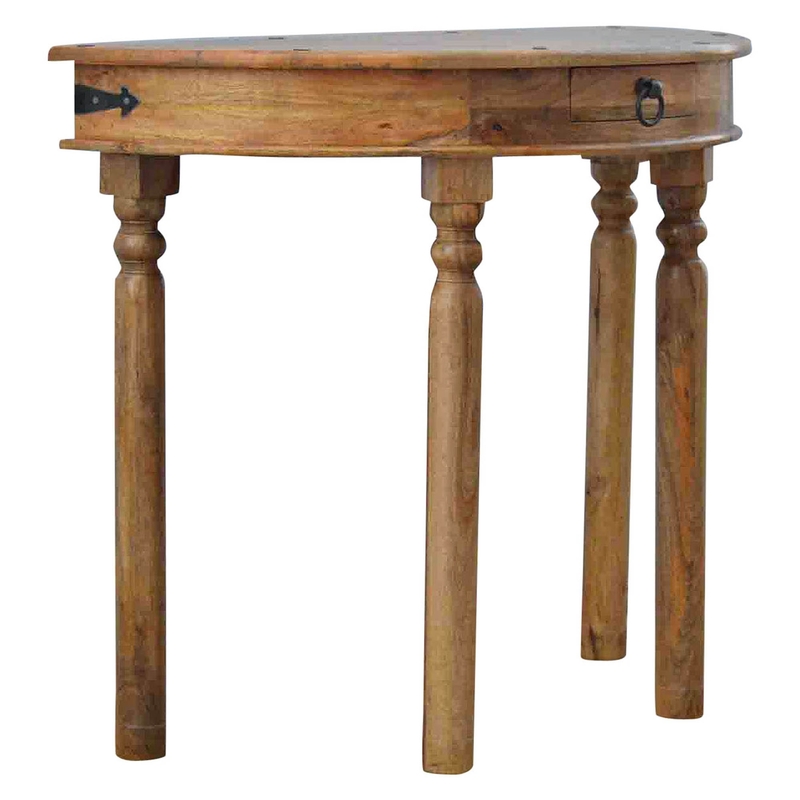 Crafted from beautiful mango would and featuring an oak effect finish, this would look perfect in any style of home. This wonderful console table will be sure to last you generations, never at of fashion.